It’s been nicknamed “Mobile-geddon.” The misinterpretations surrounding Google’s April 21 algorithm updates resulted in panic in the tech and business communities last week. First, Google will adjust its search results order to favor mobile-friendly sites. Second, apps will be discoverable in mobile search results with deep links driving new app downloads. For us at Bluebridge, these changes do not come as a surprise—and we are not panicking. With about 60% of online traffic coming from mobile, it is no surprise that Google is making moves to cement mobile as king. Here are the five most important things you need to know to stay ahead of the game—and hopefully alleviate some fears. I’m excited for these changes and what they mean for increased app discoverability. As a developer or business owner, you might feel a burden to catch up with mobile trends. But as a mobile user, you should be excited about these new experiences that will make your mobile searches more intuitive. Harness that excitement, and think about what this means for your mobile app. This has instantly caused the discoverability of apps to improve exponentially because developers and organizations are now able to generate app downloads through organic search. Google search will return links to content and pages in the app—not just keyword hits on the app’s download page. This is a big step in apps overtaking the mobile web. Serving as the metaphorical “cherry on top,” having an indexed app will also improve rankings in Google’s search results. Quality SEO and responsive/mobile sites have become an absolute necessity. By factoring in the presence (or lack) of an indexed app, Google is validating the fact that mobile apps are now non-negotiables for businesses and organizations in the modern mobile world . Google is even checking for irrelevant cross-links from your mobile page to the desktop version to determine if a website is mobile-friendly. The goal is to create the best experience possible for your users. Luckily, there’s a testing tool that you can use to see how your site measures up. 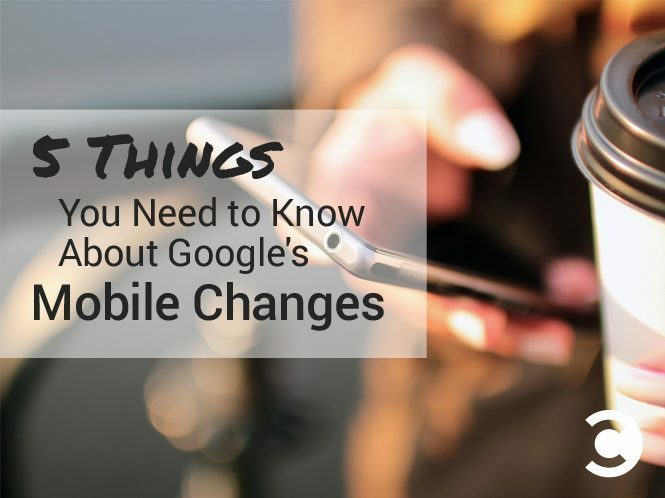 Check out Google’s helpful Mobile Guide for more information. Google introduced this functionality in 2013 to encourage the use of previously installed apps when users perform searches on Google and Android devices. The difference now is that search results will appear even for apps that have not been downloaded yet. Based on the search term, apps with relevant content will appear with a link to download. This is huge for discoverability. It’s also good news for companies concerned about taking on a mobile app development project—app content can now impact SEO efforts. So how does this work? First, you must have a website to accompany your app. Developers need to implement the App Indexing API into the mobile app to get started, and then annotate their website pages with app links that can be opened in the mobile app. Read more about this and consult your app developer on the best way to implement these changes. Here at Bluebridge, we’ll be proactively consulting with our clients about rolling out these changes in addition to other best practices as they evolve. Developers are limited to using Google’s App Index API with Android apps, resulting in only Android apps appearing in Google search results. But don’t fret—rumors are flying that Google might open the door to indexing iOS apps sometime in the future. With over 47% of the smartphone market-share, even if this feature is only active for Android users, it still matters. You may have wondered in the past which was more important: a mobile site or a mobile app? The writing is on the wall that they are equally valuable, and your organization needs both as part of a compelling and effective mobile strategy. Apps and sites work together and depend on each other in Google’s latest edict on best practices. Think of your website as the content-rich destination for your target market. Attracting the right users via search is still as important as ever. Now, in addition, think of your mobile app as the opportunity to create hyper-relevant and timely mobile moments that encourage repeated engagement and interaction with your brand. This can be achieved through push messaging, the convenience of a quick, one-touch mobile app launch, and always-fresh app content inside of a highly accessible and intuitive user interface. Use both of these assets in harmony to improve overall SEO for your brand, and meet your users where they are. So who are the winners and losers? Businesses who are willing to adapt to consumers’ needs by having responsive/mobile sites and mobile apps are the winners. Mobile users and consumers are also huge winners, with better user experience being provided on mobile devices. The losers are those organizations who aren’t meeting consumers on the devices they use most every day, who are missing out on giving their audiences positive mobile experiences on mobile-responsive sites or mobile apps. Mobile matters, and it’s here in a permanent way—how will you respond? Santiago Jaramillo is the CEO and Founder of Bluebridge, a leading mobile app platform that serves hundreds of church, tourism, and other industry customers around the world. Santiago is a nationally-recognized expert on mobile and innovation and has been named to Inc. Magazine’s 30 Under 30 “World’s Coolest Entrepreneurs," as well as TechPoint’s “Young Professional of the Year” award in 2014. Most recently, he was named to Indianapolis Business Journal’s “Forty Under 40” list.